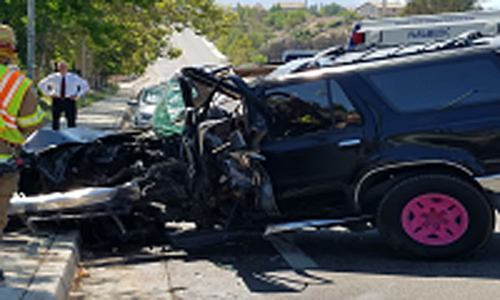 A single-vehicle traffic accident killed a woman Friday afternoon in Murrieta, authorities said. The incident occurred at 3:09 p.m. at Clinton Keith Road and Spinning Wheel Drive, according to a news release. The victim, identified by the Coroner's Office as 34-year-old Lindsey McLendon of Homeland, was driving westbound on Clinton Keith Road when she crossed into oncoming traffic and struck a traffic signal pole. Witnesses notified police that the woman was trapped inside the vehicle. Fire Department personnel responding to the scene determined that the woman was deceased. 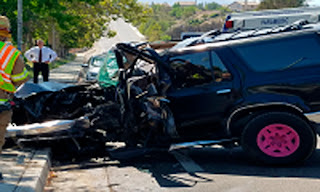 Murrieta Police and Riverside County Sheriff's deputies responded to begin the investigation as fire personnel began extrication of the victim. 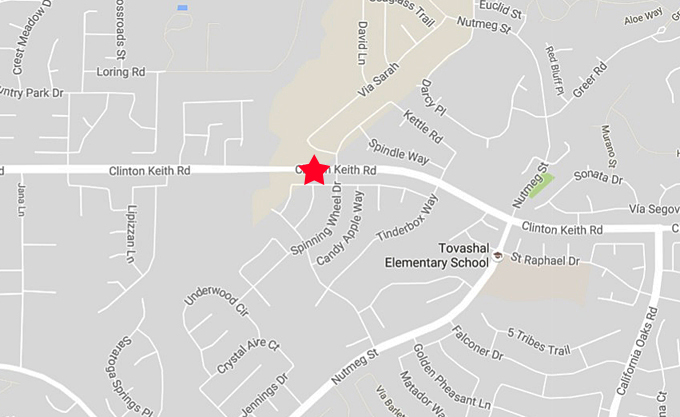 Anyone with information relating to this accident is asked to contact the Murrieta Police Department at 951-696-3615.